Hug a Bee! Protect Our Pollinators. Who said summer is stress-free and relaxing? Good grief, we've been on the go more in the past three weeks of summer vacation than during the school year! Last week, I tallied 159.3 miles driven in ONE DAY, taking the kids to zoo camp and horseback riding lessons. Thank goodness I drive a Prius. Still, I've felt a little stressed this summer for another reason, and it has nothing to do with spending hours in a car. Our garden is curiously bare. Granted, I've seen a few. But in our organic garden, we normally find dozens of caterpillars, happily munching on fennel, dill, and parsley. We watch hummingbirds chase one another around the lantana and the feeders. Butterfly photos crowd my camera, as I try to capture just one. more. shot. And the bees? Normally, I'm making certain my Epi-pen is within easy grasp. But this year, the garden is disturbingly quiet. We've always planted for the pollinators. Whether it's including host plants for larva, like fennel and parsley, or ensuring we have many blooming nectar sources, pollinators typically party in our gardens. We don't spray--not even organic pesticides, as we know those "safe" sprays can also kill beneficial insects. Sadly, though, we can't control our neighbors' actions. Of course, we worry about colony collapse disorder, but did you hear about the travesty in Oregon, with pesticides killing more than 25,000 bumblebees? Even if we practice organic growing and invite pollinators to our gardens, a mass destruction of pollinators by one irresponsible landscaping company dramatically impacts the ecosystem. And then, on the heels of the Oregon disaster, 37 million honeybees died in Elmwood, Ontario. The cause? Experts point to insecticides called neonicotinoids, used in planting corn and other crops, as the likely culprit. It's heartbreaking. Obviously, our garden is not alone in pollinator decline. Have you seen the photos from Whole Foods Market making the rounds on Facebook? Without pollinators, our selections for dinner look rather bleak. It worked well--at least, in launching conversations. But to my dismay, many of the host plants remain pristine, while in previous years we joked about the decimated dill and holey parsley. We WANT these plants to look ratty and tattered, because it means that lovely little caterpillars are getting the nutrition they need to become beautiful butterflies. Bees and butterflies aren't alone in needing protection. Pesticides affect birds, too, killing off their food sources and impacting their health. Other pollinators, like bats, are succumbing to disease. White-Nose Syndrome, a fungal disease, is responsible for killing millions of bats. While bats are known to eat mosquitoes, we often overlook their contribution to agriculture. Not only do they feast on crop-damaging caterpillars, but they also pollinate certain plants, like agaves. Along with the disease, pesticides also contribute to population decline. With the bleak news, what can we do to protect our pollinators? 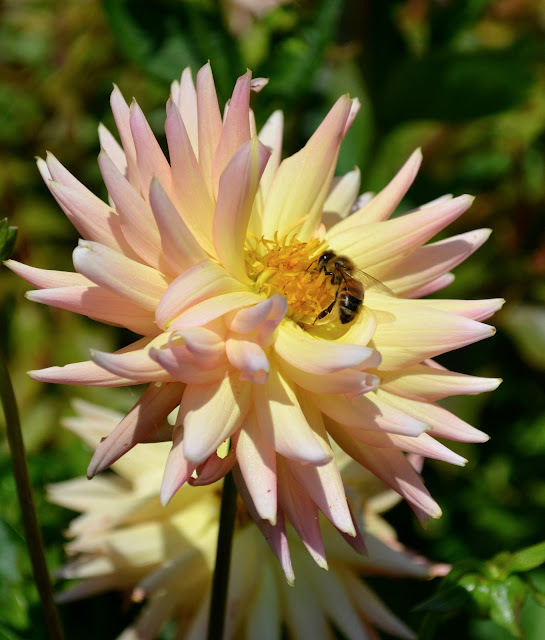 Plant a pollinator garden--You Can Grow That! First, though, take a pledge to eliminate pesticides in your garden--and encourage your neighbors and homeowners' associations to ban pesticides, too. Honestly? Even "natural" pesticides wreck havoc on beneficial insects. Hand picking pests is much healthier for the environment than spraying poison. 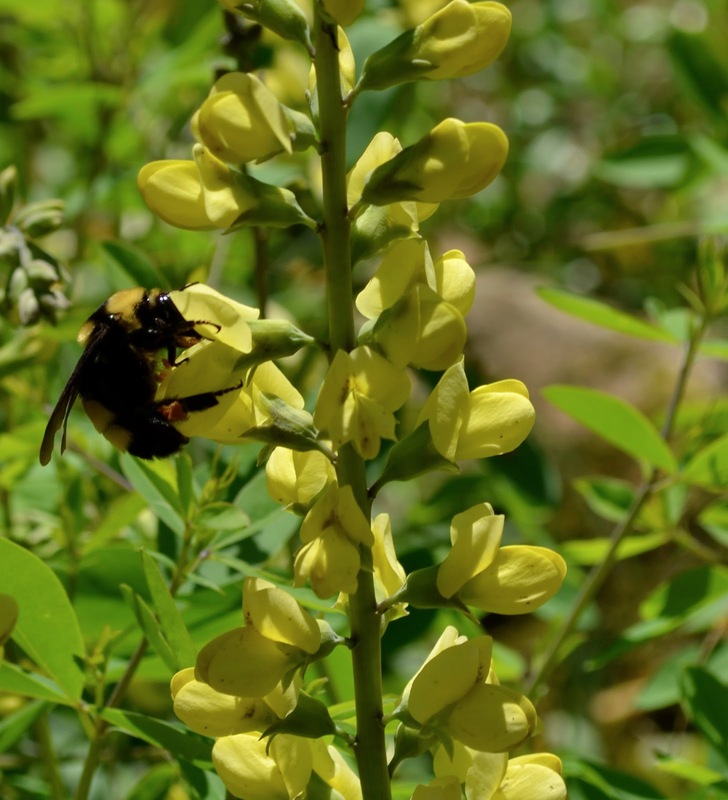 Next, familiarize yourself with the species that live in your area and plant larval host plants, as well as nectar sources, suitable for those pollinators. You can find a list of butterflies in your area by entering your zip code here. When planning your pollinator garden, choose a variety of plant materials that will provide nectar sources throughout the season. Mix early blooming, mid- and late-blooming annuals and perennials to ensure an adequate supply of food and energy for the pollinators. Water, too, is important for attracting pollinators. Birds, bees, and butterflies all benefit from water sources in your garden, from a bird bath or pond to a shallow dish of water. Also necessary is shelter for pollinators. Add a bat box to your garden. Plant trees to encourage nesting. Learn the pollinator species common to your area, and encourage them to make your garden their home. For instance, Eastern Tiger Swallowtail butterflies reside in my area in South Carolina. When planning our pollinator garden, I looked here to find their host plants, as well as their favorite nectar sources. The caterpillars consume leaves on many of the trees in our forest, such as wild cherry, sweetbay, tulip tree, birch, ash, cottonwood, and willow. For this butterfly, I didn't need to add a host plant, as we already have numerous trees on our property to provide food for the caterpillars. However, I did add some nectar sources. While they enjoy lilac, the bloom time is short in SC, so I added milkweed and Joe-Pye weed to the mix. Additionally, some plants attract more than one type of pollinator. Passion flower, for instance, serves as a host plant for gulf fritillary caterpillars, while attracting hummingbirds and butterflies with its stunning purple flower for nectar. Also in my area, black swallowtails use dill as a host plant, with caterpillars consuming the herb. Dill is another good dual purpose plant in a pollinator garden, though, because its flowers also attract lady bugs, predatory and parasitic wasps. For a list of perennials and annuals to plant in your pollinator garden, check here. Planning and planting a pollinator garden is a perfect family activity. Many of the plants are easily grown from seed, such as zinnias and sunflowers, and the garden provides an excellent learning opportunity to teach our next generation of gardeners the importance of growing sustainably to protect our pollinators. There are many stories to tell and lessons to learn in growing a pollinator garden. Besides, who doesn't get a thrill when Ms. Monarch pays a visit? Here's hoping that perhaps our lack of pollinator activity is due to our very wet spring--crossing fingers and toes that with a little more sunshine, we'll find a pollinator party in the gardens. You Can Grow That! is hosted on the 4th of each month, with garden writers sharing the joys of growing gardens. Shared with From the Farm Blog Hop and The Backyard Farming Connection.